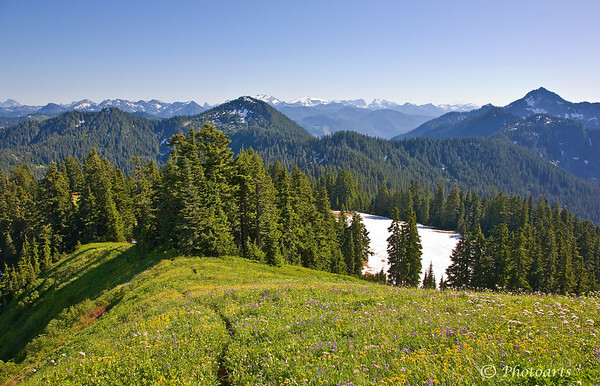 Atop Johnson Ridge trail in the North Cascades, Scorpion Mountain provides a panoramic aerial view of endless valleys and peaks amidst a sea of wildflowers in high summer. What a beautiful point of view. Love the little path going down this ridgeline.